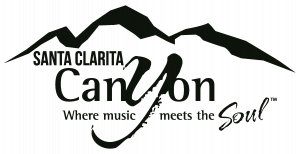 The Canyon Santa Clarita presents live musical performances by nationally acclaimed acts in a variety of musical genres, (Stone Temple Pilots, Psychedelic Furs, Tower Of Power, Kris Kristofferson, English Beat, etc.) and some of the world’s most well-known comedians (Andrew Dice Clay, Sinbad) and more! Set in an eclectic atmosphere, The Canyon is the perfect place to see your favorite artists in an intimate setting with state of the art sound. In addition to the unique musical experiences that come alive at The Canyon, the venue offers upscale yet moderately priced dining with a menu influenced by national and world-renowned restaurateurs. What’s more, The Canyon prides itself in its ability to transform the ambiance of the venue and selection of the menu to meet the thematic pulse of any special event, making it the perfect space to host your holiday parties, birthday parties, corporate events and special events of all kinds. The Canyon also features two full bars, a hardwood dance floor, a raised VIP area, and a multitude of video screens, which all combine for a unique, high energy intrinsic experience.